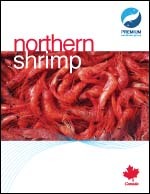 The Premium Seafoods Group offers a wide selection of quality frozen or fresh seafood products. Our seafood comes in either its natural form or processed to meet the requirements of the wholesale and food service markets. The majority of our seafood is either harvested by us or purchased directly from local fishers. 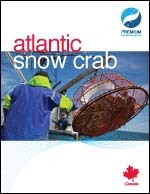 We specialize in fresh North Atlantic seafood including Atlantic Snow Crab, Canadian Lobster, Northern Shrimp, Canadian Ocean Perch, Cod and Haddock. Our finfish products range from whole gutted fish to fillets and blocks, and marketed under private labels or our Green Island and JF Samson brands. Our shellfish is sold either in a fresh/live form (Northern shrimp, Canadian lobster and Atlantic Snow Crab) or processed as a cooked and frozen product (Atlantic Snow Crab) and marketed under our Grampa Harvey brand. Premium Seafoods Group believes in responsible stewardship of our oceans to preserve and protect our marine life and environment. We believe in sustainability of our fishery resources to insure the benefits we derive from the sea today are there for our children tomorrow. Our small community was founded on the fisheries; they are a part of our way of life. Premium Seafoods Group is committed to playing its role to insure we have a sustainable fishery for our future. 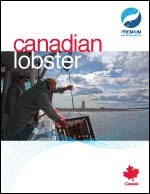 Premium Seafoods Group companies are Marine Stewardship Council (MSC) certified for a number of fisheries and purchase from local MSC certified fisheries such as Canada Scotia Fundy Haddock and Canada Northern Prawn.